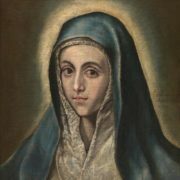 In 1577 he created his first masterpiece the Assumption of the Virgin from the high altar of S. Domingo el Antiguo, Toledo. 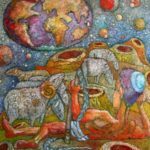 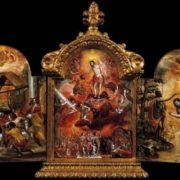 Other important paintings are the Crucifixion with Two Donors (Paris) and the Holy Family (New York). 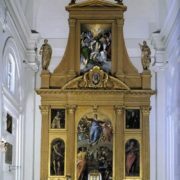 The high altar (1597-1599) of the chapel of S. Jose, Toledo, is dedicated to St. Joseph with the Christ Child. 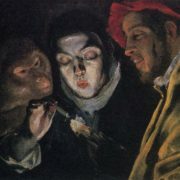 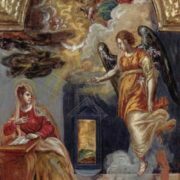 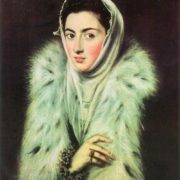 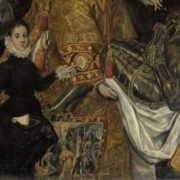 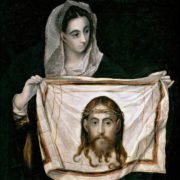 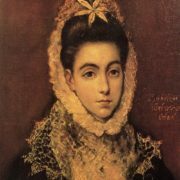 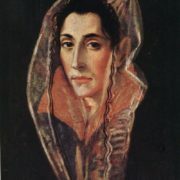 El Greco had a love affair with Dona Jeronima de las Cuevas, by whom he had a son, Jorge Manuel Theotocopuli. 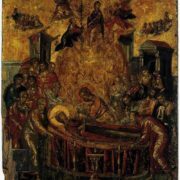 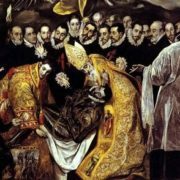 His last major commission was for the high altar and lateral altars of the Hospital of St. John Extra Muros, unfinished at his death. 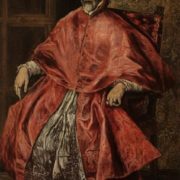 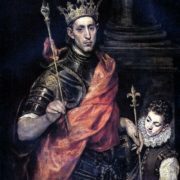 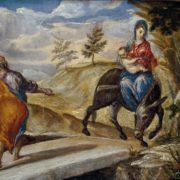 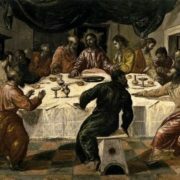 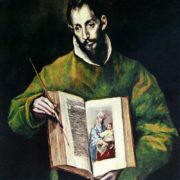 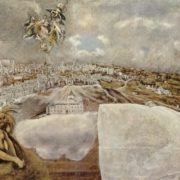 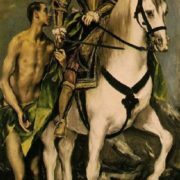 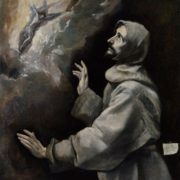 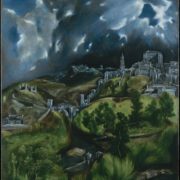 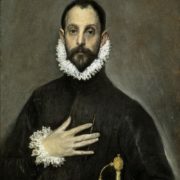 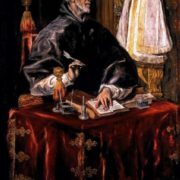 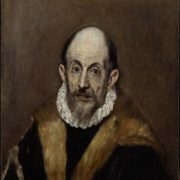 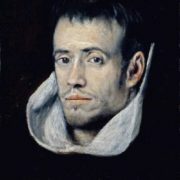 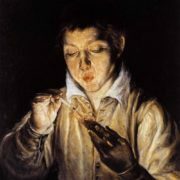 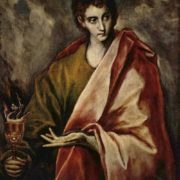 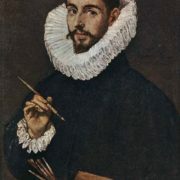 El Greco remained in Toledo until his death on April 7, 1614. 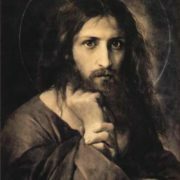 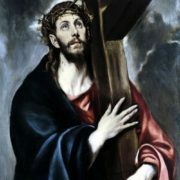 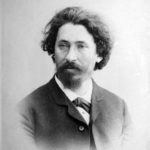 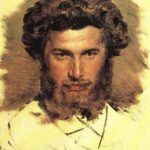 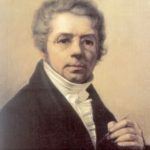 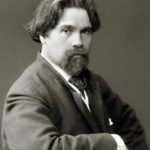 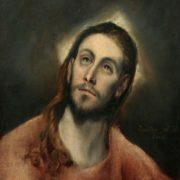 He produced numerous religious works dedicated to the Passion of Christ, such as Christ Carrying the Cross and the Crucifixion, as well as two series of the 12 Apostles. 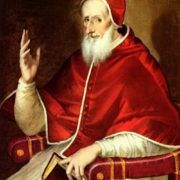 He prepared an edition of the Roman architectural treatise of Vitruvius, which has been lost. 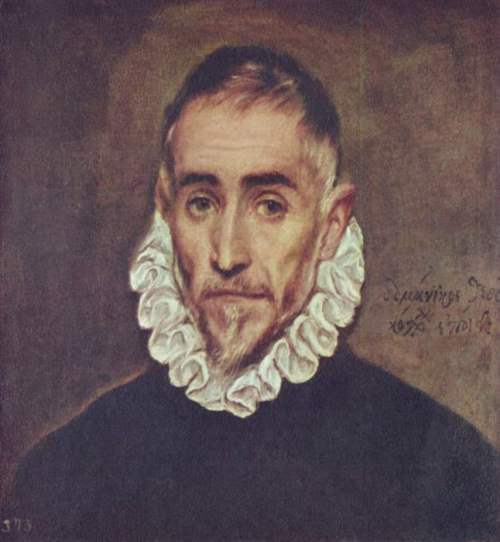 The scholar Fray Hortensio Paravicino and the poet Luis de Gongora y Argote wrote poems about El Greco’s works.